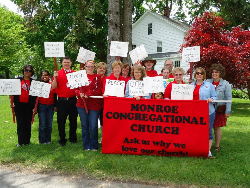 The Monroe Congregational Church is an active faith community, with many ways to connect with the community, to serve our neighbors, and learn more about God. At MCC we truly believe that our work does not stop at the front doors of our historic meetinghouse! 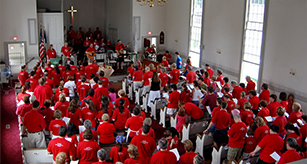 Members and friends take part in many community-building and faith formation programs, some of which are listed in this menu. Please call the church office at 203-268-9327 for more information on any of our ministries.